Response cards are also known as reply cards and RSVP cards. 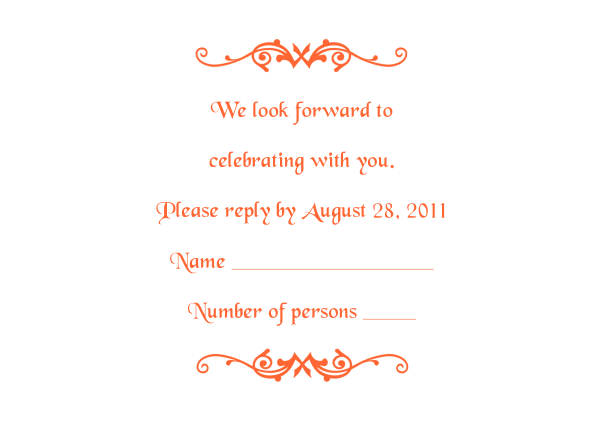 Our response templates are available in Corel Draw, Publisher, Word and InDesign formats in several colors and styles. The template is set up to print 4-up on letter size paper. This card measures 3.5" x 5" and fits a standard No. 4 envelope. Since this card is text only, it is very easy to change text to any color desired. This card measures 3.5" x 5" and fits a standard No. 4 envelope. This card layout looks very nice with color graphic and the text color changed to black also. 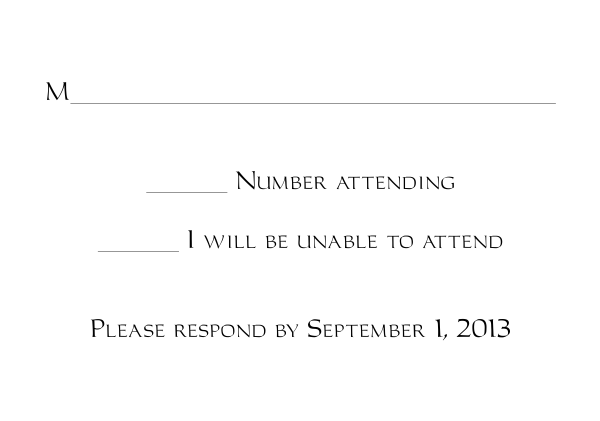 Font used in this template - Black Chancery.